Produced in Chile by Baron Philippe de Rothschild Maipo Chile, Escudo Rojo was born in 1997. A perfect marriage of ancestral Bordeaux expertise and an exceptional terroir, Escudo Rojo is a fine branded wine which corresponds to the expectations, the image and the great winemaking tradition of Baron Philippe de Rothschild. Escudo Rojo is the Spanish translation of “Rote Schild”, the German for “red shield”, the historical emblem of the Rothschild family. 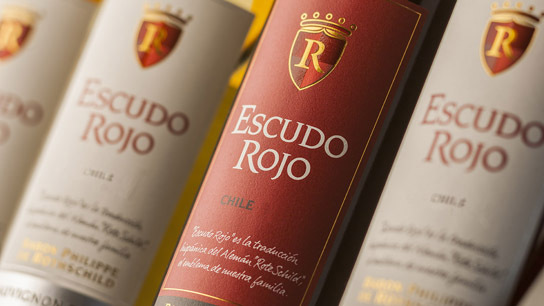 Thus, the very name Escudo Rojo reflects the Rothschild family’s commitment to Chile. 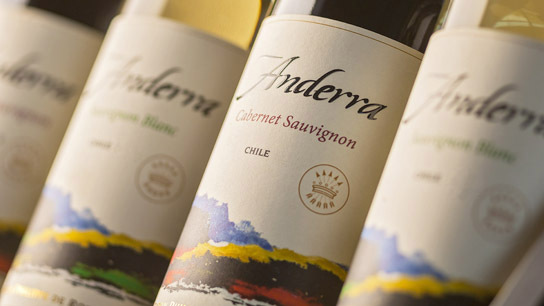 Produced in Chile by Baron Philippe de Rothschild Maipo Chile, Anderra is a new range of 100% Chilean varietal wines from the foothills of the Andes Mountains, where South America’s finest wines are to be found. There are three wines in the range: Sauvignon Blanc, Carmenere and Cabernet Sauvignon. The name Anderra, an elegant combination of “Andes” and “Tierra”, is both a symbol and an invitation to discovery. 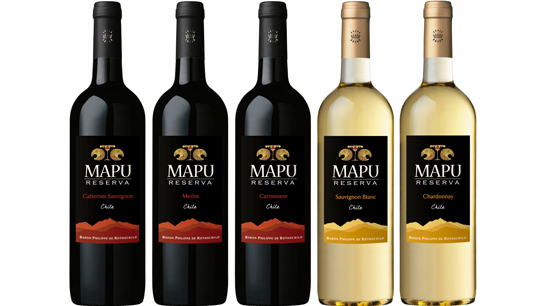 This range of varietal wines reveals all the richness of Chile’s exceptional Central Valley terroir in expressive, elegant and lightly oaked wines. 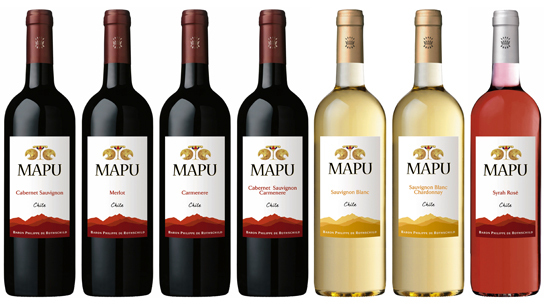 The labels recall the wines’ Chilean origin in the name “Mapu”, which means “Earth” for the Mapuche, Chile’s indigenous people, and an “Earth Square” representing the world as seen by the Mapuche (with the Pacific to the west and the Andes Mountains to the east). Situated in the heart of the Maipo Valley, the Baron Philippe de Rothschild Maipo Chile bodega is a cutting-edge facility which combines the latest technology with the great Bordeaux winemaking tradition in the service of incomparable quality. The wines are made, matured and bottled under the supervision of the winery staff and under the control of the in-house laboratory. Together, they draw up a strict parcel monitoring protocol and determine the optimum harvest date for each parcel.